I am the author of four books, published by McGraw-Hill Publishing Company of New York, NY. The first two books are reference books covering the systems analysis and system design phases of the software development life cycle. The third book covers the tools, techniques and theory of data analysis, data modeling and Classification. The fourth book is a second edition of the systems analysis book with many new topics and all original material either revised, rewritten. 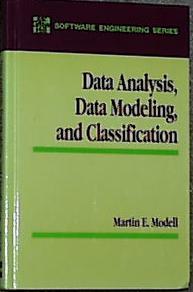 Data Analysis Data Modeling and Classification McGraw-Hill 1992. 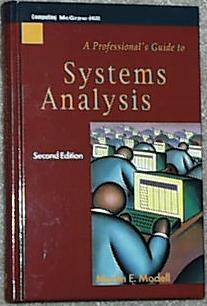 This book is a reference book for entry level and newly promoted computer systems analysts. The book is in twenty chapters and presents discussions of a wide variety of topics that are necessary skills for the new and experienced systems analyst. These include interviewing, developing a project plan, doing a cost benefit analysis, brief discussions of various types of models and their components. The book covers function analysis, process analysis and data analysis and includes chapters on the entity relationship approach and building entity-relationship models. The book includes a chapter which described six of the most common types of applications and a second chapter which describes how those applications are implemented in various types of industries. The book contains a preface, a detailed table of contents an index and an extensive glossary. All terms used in the book are logically presented and clearly defined when first used. All concepts are logically developed in using a simple, plain-English style. There were also extensive use of check-lists, forms and other aids. The book was translated into Japanese in 1988. The book has been a Byte Book Club Book of the Month. Note: This book is currently out of print and has been replaced by the second edition. This book is a major update of the first edition. As with the first edition, it is intended as a reference book for entry level and newly promoted computer systems analysts. The book has been expanded to twenty-three chapters and presents discussions of a wide variety of topics that are necessary skills for the systems analyst. These include interviewing, developing a project plan, doing a cost benefit analysis, brief discussions of various types of models and their components. The book covers function analysis, process analysis and data analysis and includes chapters on the entity relationship approach and building entity-relationship models. There is an extensive treatment of the use of CASE tools, and a new section on data event modeling. New material covers such topics as dealing with legacy systems, techniques to use in the evaluation and study of the analysis results, additional data gathering techniques, classification analysis, and most importantly analysis of, and for, client server applications. The book includes a chapter which described eight of the most common types of applications (including two new ones specific to client server application environments) and a second chapter which describes how those applications are implemented in various types of industries. The book contains a new preface, a detailed table of contents, an index and an updated and extensive glossary. All terms used in the book are logically presented and clearly defined when first used. All concepts are logically developed in using a simple, plain-English style. There are also extensive use of check-lists, forms and other aids. Note: This book is currently out of print. Copies may still be found in some Public and University libraries. The full, unedited, illustrated, text of A Professional's Guide to Systems Analysis, Second Edition is available on-line. The upper portion of the system development life cycle is segmented into three major pieces, the first being analysis, the second being examination and study and the third being design. This book concentrates on the latter two segments. The distinction between analysis and design was that analysis looked at the what is and used its tools to break it down into its component parts to describe it. Design took those component parts, examined them and put them back together into a more meaningful efficient whole. Note: This book is currently out of print. Copies may still be found in some Public and University libraries. 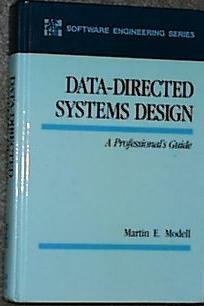 The full, unedited, illustrated, text of Data-Directed Systems Design is available on-line. This book provides a comprehensive treatment of the tasks and techniques associated with the three title topics - Data Analysis and Data Modeling. Classification was presented as an augment to the data modeling process as a means to analyze the entity structure. The book moves in logical sequence from data analysis at the enterprise level to data element analysis and physical design considerations. This book contains an extensive discussion of the system life cycle from the perspective of data modeling and the life cycle products of data modeling. This book is divided into three parts. 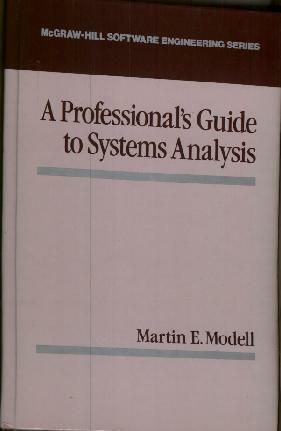 This book is a complement to the books on Systems analysis and data-directed system design. Whereas those books touch on data modeling and the ER approach as tools this book presents an in depth discussion of all data modeling relate topics. The book includes topics on data analysis using the entity-relationship approach, designing for the relational model, data modeling using CASE tools, Normalization and step-by-step procedures for developing data models. Note: This book is currently out of print. Copies may still be found in some Public and University libraries. Data Analysis, The full, unedited, illustrated, text of Data Analysis, Data Modeling and Classification is available on-line.